If you live in colder climates, the onset of winter has probably got you scrambling for the finest possible equipment. Unless you want your home and front yard to be buried under mounds of snow, you are going to need something that can deal with all of it. 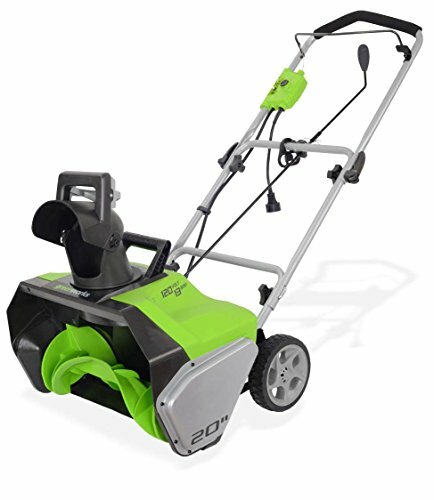 This Greenworks snow thrower has a 13 amp electric motor powering it up. This means that you do not have to be concerned about any emissions or fumes. It also has the advantage of starting up right away without any issues. The capabilities of the snow thrower make sure that you are going to clear a wide path, very quickly. It has a clearing depth of ten inches and a clearing width of about twenty inches. You also get an adjustable chute control that allows for a 180° option. Not only do you have better control over the snow is going, you also get to make sure that it is thrown a greater distance. With the Greenworks snow thrower, the snow can be thrown as far away as twenty feet. It is also light and easy to maneuver even across the snow. You will be able to see the best results with soft snow but this thrower can handle wet snow quite well too. You can be sure that this Greenworks snow thrower will last you quite a while as it has a four year warranty. Last but not least, this snow thrower is also quite affordable, compared to some other models on the market. This gasoline powered snow thrower boasts a 208cc engine. What this adds up to is an incredible amount of power from this machine. While it is powered by a gas engine, it can easily be started up by an electric push start. This means that even in the coldest weather, you will have absolutely no hassle in getting this snow thrower started. As mentioned, the Briggs and Stratton snow thrower is quite effective at clearing a path in the snow. It can eliminate snow that is of a height of about 20 inches. It can also clear a path that is about 24 inches wide. You will certainly not be wasting any time out in the cold with this thrower. It also comes equipped with steel reversible skid shoes. This makes it easier for you to move the thrower through the snow, even when the weather is quite bad. This snow thrower is by no means the cheapest option on the market. However, as it offers a minimum of three year warranty, it is an investment. It is incredibly durable with steel and aluminum components making up the thrower. With the PowerSmart snow thrower, you do not have to rely on gas as it is an electric powered machine. In addition to starting without hesitation you also have less maintenance to conduct on the snow thrower. Powered by a 13 amp motor, this PowerSmart thrower does an impressive job of dispensing the snow. It can clear snow that has settled above eight inches on the ground. You can also clear a space measuring about eighteen inches in width. As the snow is removed to about thirty feet away, you can make sure that your yard is well and truly cleared. This is improved by the fact that the chute can be adjusted 180°! This means that you get to choose the direction in which the snow is tossed. The handle on this snow thrower is an absolute marvel. First off, it is foam covered and comfortable, with an ergonomic design. Its real strength lies in how maneuverable it makes the snow thrower, making it easier for you to guide the machine. Considering all of its features, it does come at a very affordable price. The Husqvarna utilizes a two stage mechanism of displacing the snow. First, the snow is moved into the housing via the auger and then sprayed out through the chute. The Husqvarna snow thrower works off a 208cc engine and has a fuel tank able to hold 2.7 liters. While it does run on gas, it has an electric start. This means that you will not have to deal with any delays when starting up the snow thrower. What is particularly great about this snow thrower is that it is great for all conditions as well as all types of surfaces as well. The friction disc transmission feature ensures that you can quickly change the speed of the thrower, according to how much snow there is. The adjustable skid shoes means that it can easily maneuver any type of surface. Snow that has settled for heights between two and twelve inches will be easily dealt with. Unlike many other snow throwers, the handle can easily be adjusted, meaning that different people can use it comfortably. Adding to the comfort factor is the heated handle grips that keep you toasty when the temperature drops. 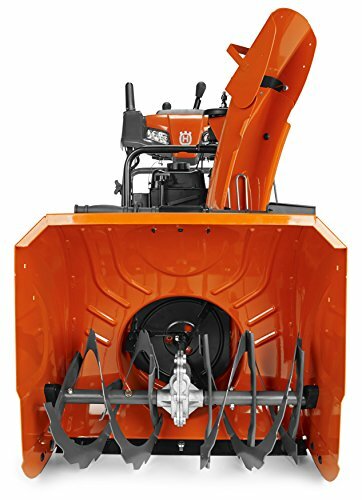 If you don’t get too much snow but still want a thrower handy for overnight accumulation, then this Husqvarna single stage thrower will be better. Although quite powerful, it is a great deal more compact than some of the other options. With its 208cc engine, this snow thrower is able to easily handle about six inches of snow. You can also expect to be able to clear an area of about 21 inches with the thrower. It also has an electric start, making it reliable even in really cold weather. 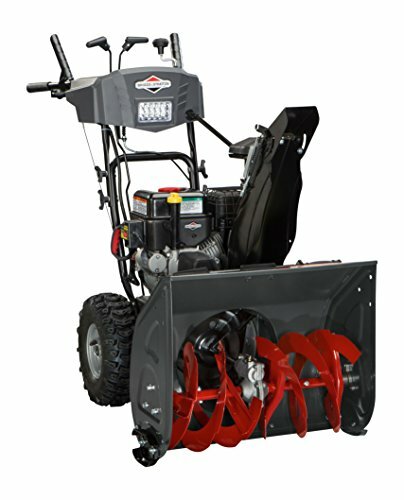 The chute on this snow thrower can easily be adjusted, with a 180° movement. This way, you will have better influence over where the snow will be moved to. Its weight and compact design also makes the snow thrower easier to handle. Conclusion:The next time bad weather hits, you will be prepared with one of the finest snow throwers around. Just go through the options here and pick the one that suits your needs the best.